The trend of virtualization and automation in the network along with the growing numbers of network users are leading dramatic changes in network infrastructure. The application of locking and proprietary legacy networks has changed. A trend of choosing applications, operating systems, and hardware prevails in modern data centers. Under such circumstances, an operating system called Cumulus Linux is designed to provide an open platform for a faster, easier and affordable network. 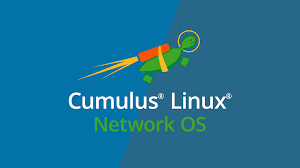 Cumulus Network seized the opportunity from this trend and produced a powerful open network operating system named Cumulus Linux. Cumulus Linux based on Debian Jessie is the first native Linux network operating system for the networking industry, which runs on white-box switches, such as Gigabit Ethernet switch, 10gb switch etc.. It allows consumers to automate, customize and scale with web-scale principles such as the world’s largest data centers. This open approach enables choice with the best hardware, software, application, network architectures, and no vendor lock-in. Cumulus Linux is a solution that allows you to cost-effectively build and efficiently operate your network, just like the world’s largest data center operators, unlocking vertical network stacks. What Makes Cumulus Linux Stand Out? Build for automation, scalability, and flexibility, Cumulus Linux is gradually accepted by the public and offers a compelling set of benefits for network engineering and operations team. Cumulus Linux leverages traditional Linux and networking tools. It can automatically discover network devices and provides advanced troubleshooting with tools such as Cumulus Linux’s prescriptive topology manager for topology consistency against a topology graph. Cumulus Linux can fully automatic self-configuring, alerts and integration of maps and monitoring data via SNMP with real-time animated topology visualization. Cumulus Linux can express complex logic for alert conditions incorporating dependencies and correlations between metrics. It can generate customizable performance and availability reports on Vlans, network switch ports, subnets, protocols and more. Cumulus Linux allows zero-touch installation and provisioning to simplify operations. It uses embedded Python scripting engine and SQL like query syntax for deep data analysis and capacity forecasting. Cumulus Linux allows consumers to choose compatible hardware and chain control depending on their needs and budgets. By adopting Linux principles for networking, consumers have achieved operational efficiency by 95% and reduced TCO by up to 60%. Therefore, with the help of Cumulus Linux, a simpler, scalable, and faster deployment network can be built. How Do You Configure a Cumulus Device? There are three simple ways to configure Cumulus Linux. One is to use a bash prompt which runs the Cumulus Linux. The other is to install Chef, Puppet or CF engine and then use your DevOps pipeline to configure the network devices. Or you can choose to use ONIE (Open Network Install Environment) with local HTTP discovery. But you have to be aware that If your host (laptop or server) is IPv6-enabled, make sure your host is running a web server. If the host is IPv4-enabled, make sure your host is running DHCP in addition to a web server. The networking industry has long believed that the integration of network hardware and software is critical to network speed and reliability. But as technology evolved, it proves that hardware and software work better when they are developed independently. The advantages include faster product development and freedom from vendor lock-in. However, there is no final conclusion about the robustness of network support and the viability of switching suppliers. Cumulus Network says it will support its own software and the third-party hardware on which it runs, and will troubleshoot itself to provide valuable use cases for openness. But on the negative side, the product line offers limited hardware choices. The company requires customers to manage their network infrastructure with tools like Chef, Puppet and the Bash shell. For customers who are not familiar with these tools have to weigh these pros and cons when they are ready to transition to a separate network environment. Cumulus Linux can run multiple network paths without the needs for multiple switches and offer traffic isolation and network segmentation for multiple devices. It’s the best choice for network flexibility and innovation. Although there are still some challenges on the road ahead, Cumulus Network will continue to find ways to solve the problems and create a better network environment. Why Should You Use CL OS? This entry was posted in Ethernet Switch and tagged Cumulus Linux on December 6, 2018 by Admin.